Once question…Why do all the Uncle Toms appearing on Faux News look like they are severely constipated? Guy looks like he has a baseball bat up his rear end! 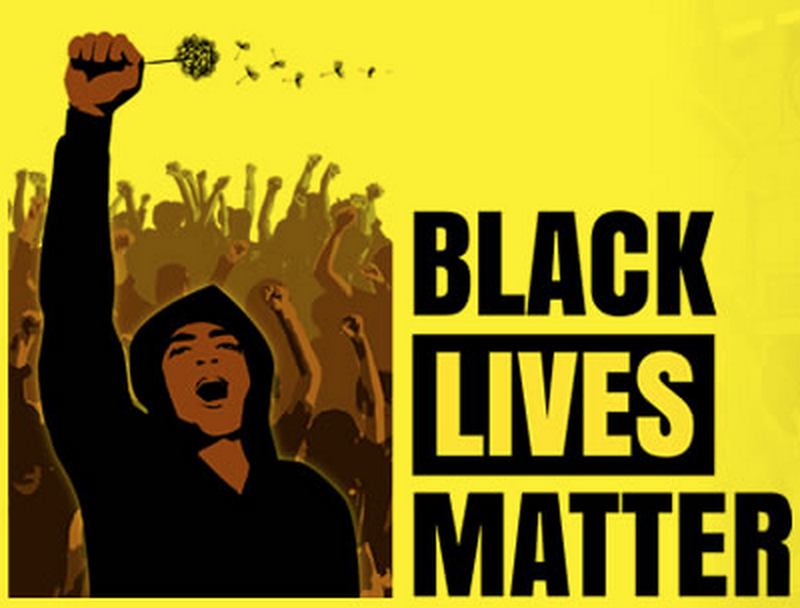 Clarke is no fan of the #BlackLivesMatter movement, having testified before Congress in May of this year that the group was part of a “wrecking ball” effort to “kick white America in the teeth,” but even so, it was surprising that Fox News chose to use a chryon reading “‘Murder’ Movement” when it brought him on to speak about the death of Deputy Goforth. No connection between the #BlackLivesMatter movement and the suspected gunman, Shannon Miles, has been established, but that didn’t stop Sheriff Clarke from railing against black activists and anyone else who doesn’t offer unadulterated support to members of law enforcement. Lest you believe Clarke capable of rising about the cacophony of anti-Obama condemnations emanating from Fox News, by “they” Sheriff Clarke clearly meant a conspiracy that goes all the way to the very top. 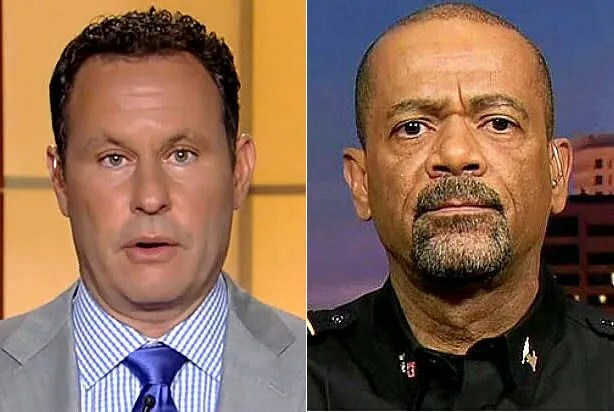 Kilmeade offered that all President Obama did was “shed light” on law enforcement’s problematic relationship with the black community, but Sheriff Clarke would have none of it. First Sheriff David Clark is the only black policeman in a 95% white community in the Milwaukee suburbs – Milwaukee – which is the most segregated city in America.If the Sheriff was really concerned about the black community…Why isn’t he working in East Milwaukee? Second, and even more important – we don’t know yet why the accused, Shannon Miles killed the officer in Harris County, Texas. The accused’s method would indicate that he specifically targeted this Sheriff for some personal reason. It fits the profile of a straight up revenge killing. Lastly, the kickback sounds familiar to those who were alive during the CiviL Rights Movement, where the local Segregationist racist Sheriff would always complain about “Outside agitators” and “Civil Rights Troublemakers”…Not sure how this is supposed to help the situation. Uncle Ruckus, Jr needs to sit down somewhere. I can’t stand him.